Vietnamese construction companies are clamoring to build new medical facilities, thanks to tax incentives. But will both patient and property developer feel the benefits? Amidst the rush to meet demands for residential property in light of new laws allowing foreigners to buy, Vietnam’s premier developers are racing to fulfill the needs of another sector undergoing a building boom: healthcare. All the big names are in on the gold rush: Vingroup are building 10 hospitals – branded ‘Vinmec’ throughout the country, as well as a Vingroup Medical University. Hoa Lam, another big beast of the industry, have broken ground on a vast 40-hectare facility locally known as “Medical City”. FLC group are also set to join the party, with other construction giants investing heavily in partnerships or readying independent announcements. Relaxation of accounting protocols allowing losses to be pushed back and made tax deductible for up to 5 years. Experts estimate that such practices coupled with operational income yields around 20% annually for up to 10 years. With such grand financial cherries to pick, it’s little wonder that companies – traditionally focused on residential and commercial construction – are looking to leverage every aspect of the medical sector, from hospitals to schools to smaller medical centers. Now though, he says, it’s much easier – but not always entirely in spirit with the law. “Developers and real estate companies have always liked to retain control over facilities within projects such as entertainment and shopping – now if they include healthcare facilities, they can enjoy the additional benefits of ‘providing for the public’, too”. 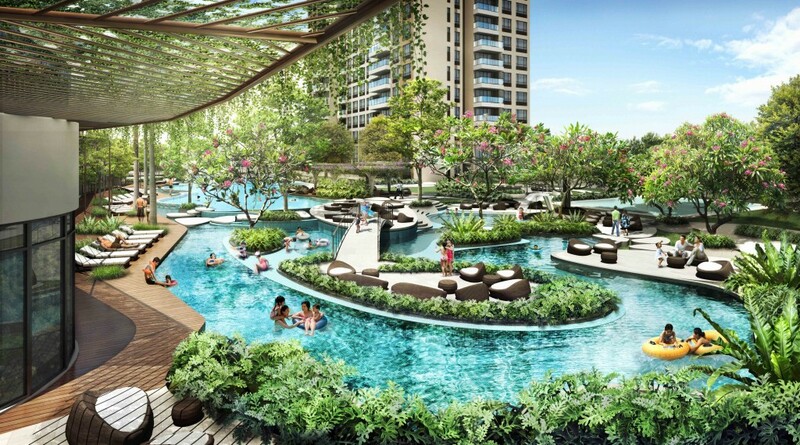 Vinpearl Phu Quoc and Vinhomes Central Park are two such projects which include medical facilities, and few dispute the benefits to investor and resident alike of such an approach. What experts are discussing is whether the policy will have a net benefit for the wider public. Ministry of Health information says that demand for capital currently outstrips supply, with the national budget capable of meeting only 40% of demand (around 20,000billion VND). The spending aims to bring Vietnam’s healthcare in line with global standards, but the ambition of matching near neighbors is currently some distance from being met. Hospital bed provision stands at 23 beds per 10000 residents – still short of recommended WHO guidelines (minimum 39/10000) and a long way from South Korea and Japan (at 80 and 140 respectively). This shortfall – and the desire to catch up fast – spells huge opportunities for companies like Vingroup, Hoa Lam and FLC. But it isn’t just construction companies, with commercial banks now investing hugely in the field. Whilst some like VietinBank have entered into negotiation with the Government, BIDV has been the first to formalize its action. They’ve launched a credit package for with total capital of 20000 billion VND, applicable from from June 15th 2015 to May 31st 2022. Of this, 12000 billion is ring fenced for medical equipment with the remainder dedicated to infrastructure development and maintenance. Recipients are incentivized with attractive interest rates for up to 15 years. Time will tell if such dizzying numbers result in benefits to patients – but there is little doubt that Vietnam’s construction and investment industries will be working to make that happen and reap the rewards. Property in Vietnam has a lot to offer investors – could you be one of the beneficiaries? Leave a comment below or get in touch and we’ll keep you up to date with industry development.